spectra is an artwork by Ryojl Ikeda, Japan’s leading electronic composer and visual artist who lives and works in Paris. Ikeda over the years has gained a reputation as one of the few international artists working successfully across both visual and sonic media. 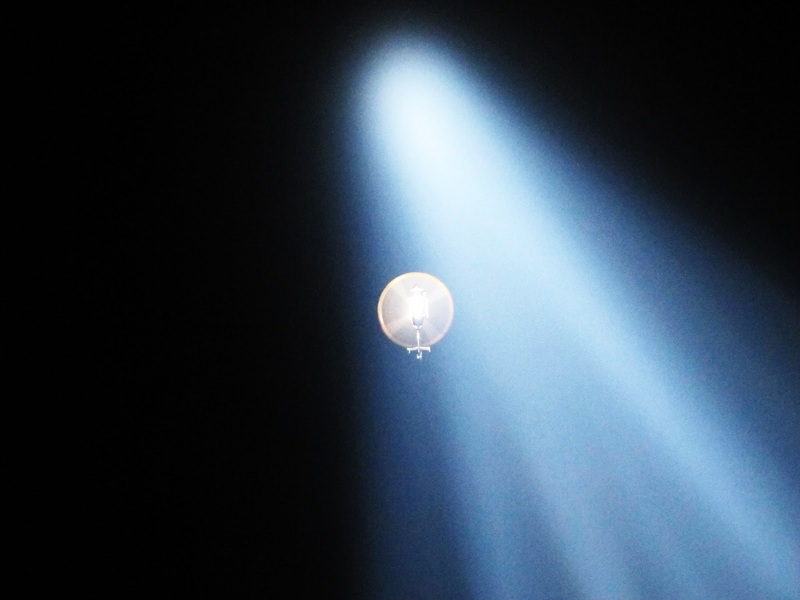 With spectra he has created a combination of sound and light into an impressive interactive environment. The art installation consists of 49 high powered searchlights arranged in a grid projecting thousands of metres upward into the sky.. There are huge speakers used to play atmospheric noises composed also by Ryojl Ikeda. Visitors can walk through the lights at ground level, looking up at the clouds and at, in my case, a helicopter. spectra has previously been displayed at The Flag Island, Sharjah, AE, Amsterdam, Paris, Barcelona, Nagoya and Buenos Aires. 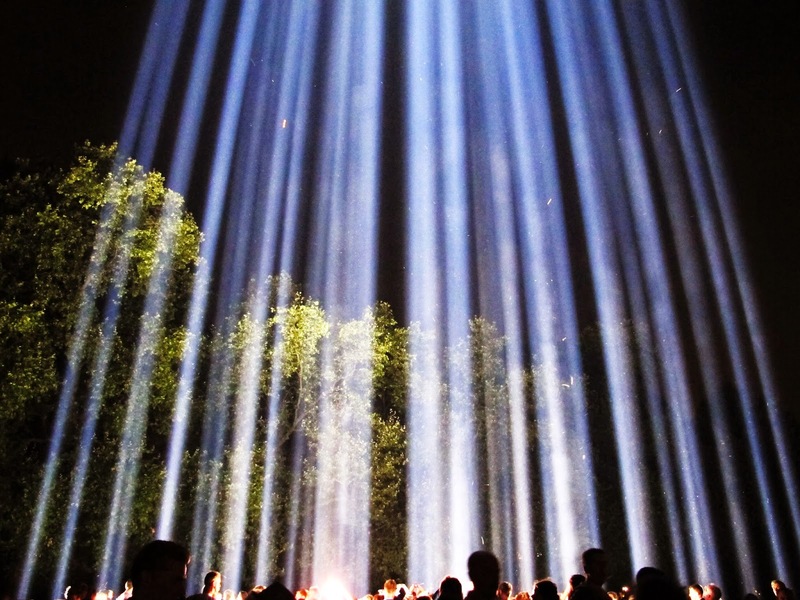 spectra in London is being used to mark a moment of national commemoration of the centenary of when Britain declared war on Germany for invading Belgium. spectra was first turned on as part of a bigger piece of National activity for 14-18NOW LIGHTS OUT on 4 August and will remain light until first light on 11 August. spectra is free to visit and is at Victoria Tower Gardens right by Houses of Parliament and is lit from dusk till dawn.